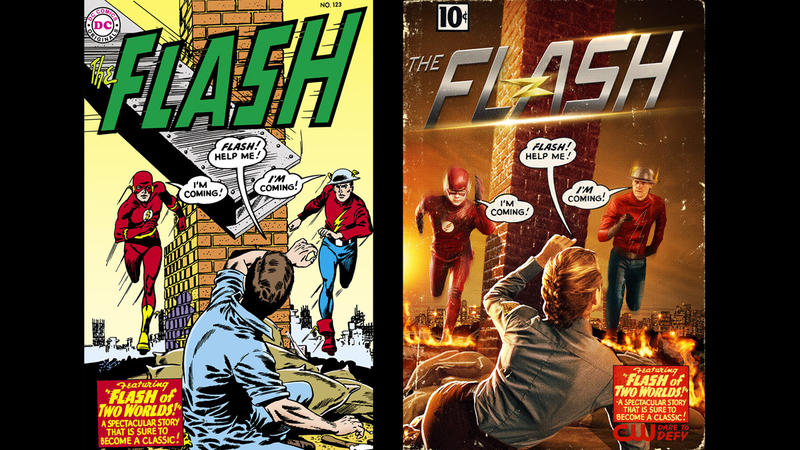 The Flash Gives Us an Amazing First Look at Jay Garrick, the Golden Age Flash! We’ve known for a while that The Flash would be bringing in the original Flash, Jay Garrick, in its second season. Now we’ve got our first look at Teddy Sears in action as the Flash of Earth-2, and it’s in a glorious, glorious homage to the iconic comic cover for The Flash #123: Flash Of Two Worlds! On top of the reveal, the CW also confirmed that the show will speed its way back onto TVs in just a few months: Tuesday, October 6th.